Thank you for submitting your item for appraisal. Jugding from the greyish blue this appears to be an early / mid Ming Dynasty 15th century bowl, painted on the outside with lotus blossoms and arabesques, the lower band near the footrim decorated with some kind o palmettes, the section to the rim with a band of cloud shapes. Very light irregularities to the footrim. 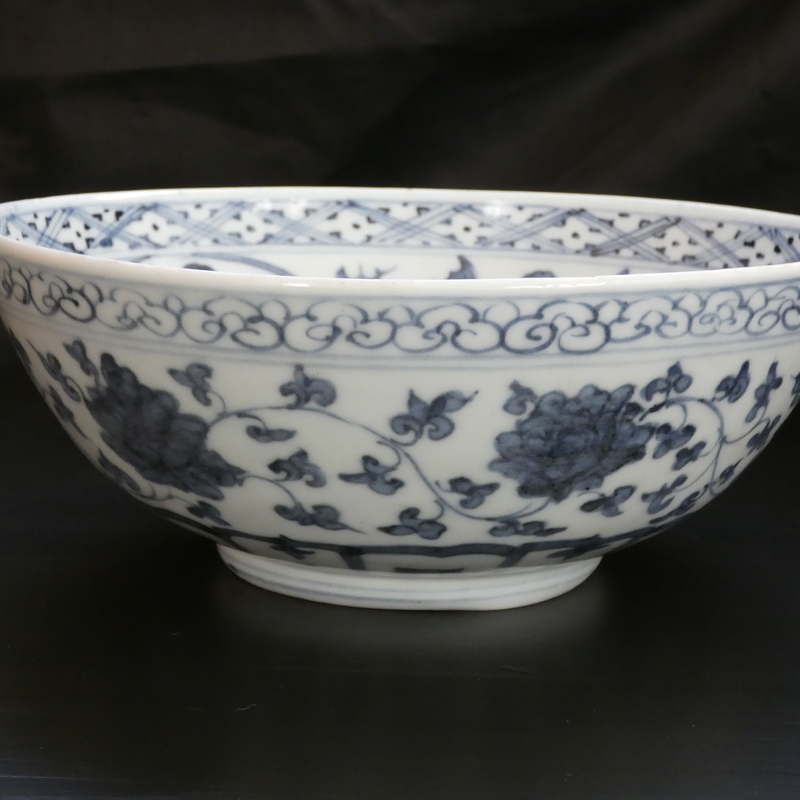 The estimate is based on similar items of similar quality sold at auction.